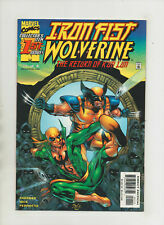 Iron Fist Wolverine#1 Incredible Condition 9.2(2000) Igle Art!! 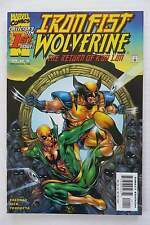 (1998) HEROES FOR HIRE #18 & 19 WOLVERINE GUEST STARS! SHANG-CHI & IRON FIST! CGC 9.6 MARVEL COMICS PRESENTS #141 .. GHOST RIDER .. WOLVERINE .. IRON FIST ..
CGC 9.6 MARVEL COMICS PRESENTS #115 .. WOLVERINE .. GHOST RIDER .. IRON FIST .. This page was last updated: 24-Apr 17:39. Number of bids and bid amounts may be slightly out of date. See each listing for international shipping options and costs.